A new book has been published from “Victionary“, a Hong Kong based publisher dedicated to art. 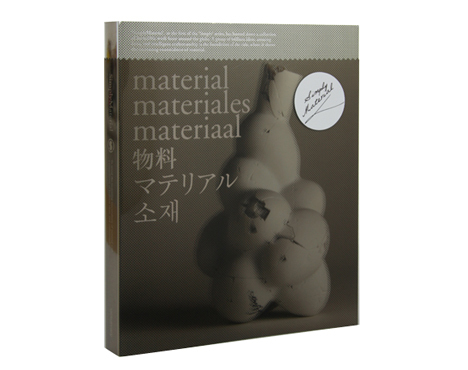 The book titled “Simply Material” is the first in the Simply series. 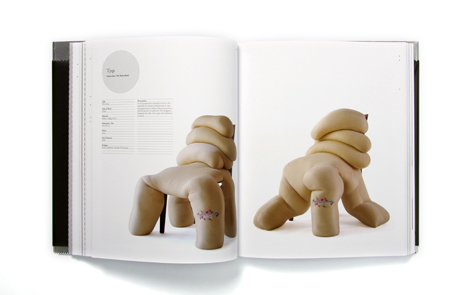 This book features more than 70 artists and their various motives. There are commodities like mats, vases and pots as well as furniture like chairs, lights, chests, and public facilities like benches and run ways. The works are not only artistic. Useful commodities are very important. So, simply by changing the materials, we can find “art” or “beauty” in our daily life. The materials are plastic, wood, acrylic fiber, LED, bamboo and so on. It is aiso important to ask the question “what materials combine to create which works”. This book has 4 categories. “Geometic”, “Organic”, ”Decoractive” and “Illusive” and the works play second string to the materials. There are some remarkable entries in each category. BOEK (Piet Hein Eek)’s work,”Dentist’s denture moulds cabinet” uses aluminum and scrap wood as his material. Dentist offers this work, so this has a gurantee for conveniently. All the scrap wood is rectangular, but the various colors form other shapes. Aqua Creations Ltd’ s ”Blondie Eee” is a hand-made brown light covered with original India organic silk “Golden Mist”. It radiates a soft light and seems like a living thing. The silk covered glass is very thin, the growing small ball. It is like a jelly-fish sticking to the celling with ６tentacles. Niels van Eijk & Miriam van der lubb’s lump, “Bobbin Lace Lamp”. The glass fiber material is knitted like bobbin lace. It has no bulb, light run through the glass fiber shape of lamp shade. It is such fantastic fragile light on the fringe. “Grand Illusion” by ESSEY ApS. The designer came up with the idea when he passed a café. The work expresses perfectly the acrylic resin tablecloth. The reflection of light in the acrylic represents a kind of softness of the cloth. Upon seeing it for the first time, the craftsman said “That reflection is impossible!”, but he reflected “Illusive”excellently.